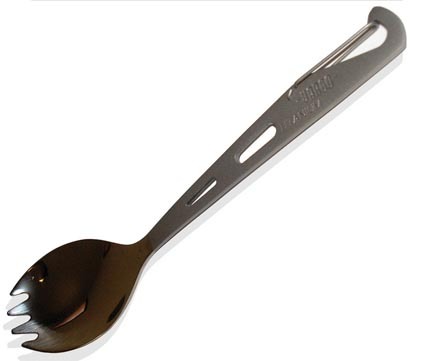 Titanium Eagle Spork - 6 1/4" overall. Matte finish handle with polished tip. Handy attachment clip allows easy attachment to just about anything to prevent dropping or loss. Weight: 0.5 ounces (14 grams).